Pop music will never last. At least that was always the contention, an age-old debate that returned with some resonance in October, 2012, when it was duly noted that it had been 50 years since The Beatles first burst on to the charts with Love Me Do. What tended to follow were the inevitable, tired arguments about whether you preferred The Beatles or The Stones. But I never quite saw it like that. The Rolling Stones packed a great punch, and if I was around at the time I would surely have loved their seemingly-more rebellious, less clean-cut image. But then I think of that John Lennon snarl and attitude, the early-years black leather Hamburg apprenticeship, sheer quality of song-writing, and know how little that mop-top be-suited image really had to do with it all. No, it was always The Beatles for me. There’s been a fair bit of old footage shown these past couple of days of the Fab Four in late 1962, and most fits in nicely with that image, perhaps personified by Paul McCartney’s innocence on camera (something Eric Idle played perfectly with The Rutles). But there was always more to it than that, and for every Love Me Do there was always something far more raw to behold. That difference of opinion over Macca continues to this day, not helped this year as the 70-year-old living legend was wheeled out for every major UK celebration. But why the public image might be of Mr Thumbs Aloft and those raised eyebrows leading the ‘na-na-na-nahs’ of Hey Jude, remember he also chose The End for his London 2012 Opening Ceremony finale. And if you’re still in denial about Sir Paul’s relevance today, I suggest you forget The Frog Chorus and Wonderful Christmastime and look at all the fine albums he’s released these past 15 years, checking out Flaming Pie, Run Devil Run, Driving Rain, Chaos and Creation In The Backyard, and Memory Almost Full. But let’s not get side-tracked, for the main issue here is that when Lennon and McCartney came together, music changed – and for the better. And while The Beatles only properly recorded as a unit for less than seven years, what a legacy they left us. Somehow they made a huge impression on this boy – who wasn’t even born until four months after the release of Sgt. Pepper’s Lonely Hearts Club Band – and every other music wannabe over these past five decades. I was never a great fan of Love Me Do, and it works out that George Martin felt similarly. 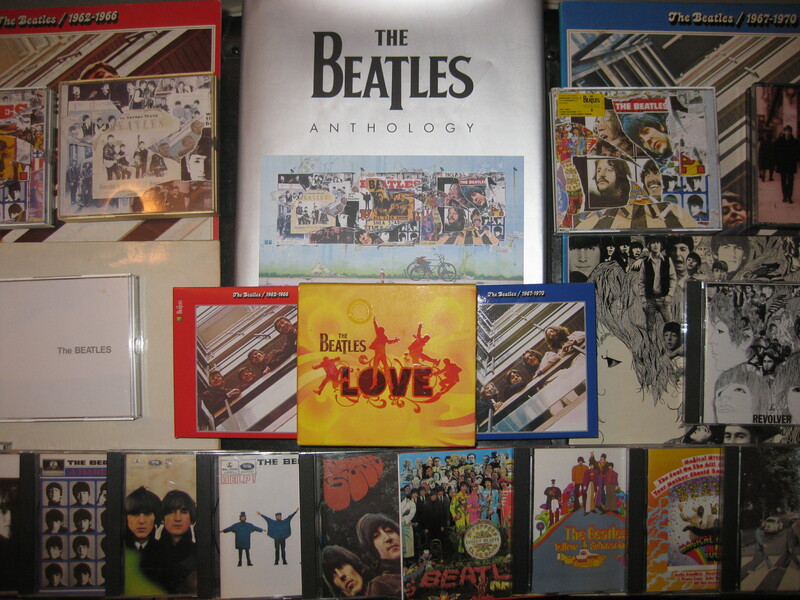 Yet when he heard Please, Please Me he knew they were on to something, and it is in no small part due to his influence and innate skill that the first Beatles long player was a winner, and one that would go on to enjoy such an extraordinary shelf-life. Love Me Do reached No. 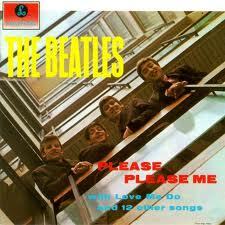 17 in the UK charts, follow-up Please Please Me in January 1963 made it to No. 2, and within two months the album of the same name – recorded in September, November and February – was rush-released. I think you know the rest. I’ve got that 1963 debut album playing in the background as I thrash out these words, and there’s no denying the power therein. That’s not just the benefit of hindsight talking. What they had was never easy to define, but for me the energy and songcraft is there from the start in two sparkling opening tracks from the pen of Lennon and McCartney – I Saw Her Standing There and Misery. Then we have the first three of six covers – Anna (Go To Him), Chains and Boys – giving at least a flavour of that craft they honed during those legendary appearances at The Cavern, those down-to-earth Liverpudlian tones and interpretations making those songs their own. There are no George Harrison or Ringo Starr compositions yet, but both make their vocal mark, George on Chains and Do You Want To Know A Secret, and Ringo leading a perfect Mersey rock-shoo-wop on Boys. Furthermore, George even manages to coax a Scouse nuance to the odd Chuck Berry-style guitar chop and lick. In Ask Me Why, Love Me Do and PS I Love You, we find a band not quite at their best, but offering occasional tell-tale peeks that this is a band here to stay. You can almost taste the bubble gum pop that initially left George Martin non-committal. But he somehow managed to infuse some of that Hamburg swagger and rough-edged charm too, keeping it all real. Besides, they were never going to fail, always having the image, the looks and determined vision to back it all up and ensure this was no one-off stab at success. By the time we get to Do You Want To Know A Secret, we have yet another sub-two minute classic under the belt, and like the others cleverly begging and borrowing from all that inspired the band, and adding their own sweet guile and endearing youthful arrogance. While Baby It’s You works, A Taste of Honey is perhaps a cover too far, not least after we’ve learned just how good their own songs are. There’s a further case in point in the wondrous harmonies and chord changes of There’s A Place, before one of the ultimate show-stoppers, Twist and Shout tops it all off, matching the intensity of The Isley Brothers’ cover yet making this r’n’b hit sound like it was conceived in Merseyside. Before we know it – and less than 33 minutes later – they’re gone again, leaving us hungry for more. All fab four of them were still finding their feet, maybe, but Please Please Me must have done wonders for The Beatles’ confidence, proving an important statement of intent. They didn’t retain that innocence for long, but as a result neither did British music. Like Elvis Presley’s influence on Lennon in the first place, everything changed – those post-war years soon way behind us all. Far better was to come of course, the catalogue peaked with 1966’s Revolver, a fair amount of 1968’s The Beatles (The White Album), which would have made one hell of a fantastic single album (we could always have just kept the rest back for a later deluxe edition), and glorious 1969 finale Abbey Road. 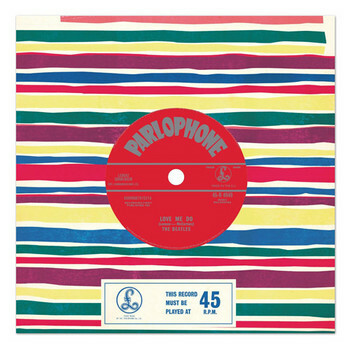 Back to Love Me Do though, and while it’s fair to say it’s simple but effective pop, it would still kick most of the crap in today’s charts down the stairs, to the accompaniment of Ringo’s resounding snare drum and cymbal – heading off in One Direction, you could say. This entry was posted in Music and tagged Abbey Road, Eric Idle, George Harrison, John Lennon, Love Me Do, Paul McCartney, Please Please Me, Ringo Starr, The Beatles, The Rolling Stones. Bookmark the permalink. you as the source. Thank you so much. Hello Arlie, that shouldn’t be a problem. Glad I can be of help. As long as there’s a suitable credit and a link to my site, that’s okay with me.